By Ian Pollard in News and Views, Uncategorized on 24th April 2017 . Computacenter CCC has enjoyed buoyant market conditions in quarter one and believes that its 2017 performance will exceed current market expectations. Revenue in Germany was particularly strong with a rise of 32% in the quarter to the 24th April and France managing 6%. As seems to be happening so frequently this year, the UK lagged way behind with a fall of 1%. The company points out that these comparatives are made against a weak first half in 2016 and will return to a more normal state in the second half. 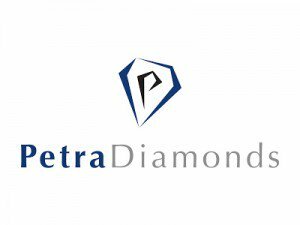 Petra Diamonds PDL. Production was flat during the third quarter, held back by unseasonable heavy rainfall in South Africa. Over the nine months to the 31st March however, the picture was brighter with production rising by 15% and Revenue by 27%. The volume of diamonds sold was up by 33%. Prices for rough diamonds rose by 2%, compared to the first half. Fishing Republic FISH claims strong progress was made in 2016 as it sought to take advantage of the highly fragmented state of the fishing tackle market. Revenue rose by 41% and profit before tax by 32% in the year to 31st December. Website sales were up by 132% and in store sales by 82% or 16% on a like for like basis. Five new stores were opened during the year and there are more to come in 2017. Lok’n store Group LOK is increasing its interim dividend by 12.4% after the first half year to 31st March produced strong trading and cash flow. Revenue rose by 4.5%, adjusted pre tax profit by 13.5% and net debt fell by 35% to £16.7m. Expansion continues with 4 more new stores set to open in 2017 and sites for a further four, already been identified.